All Russian military planes have safely returned to base in Syria after combat missions, the Defense Ministry said in a statement, adding all drones are operating as planned. Earlier, the Turkish military said it shot down an aircraft on the Syrian border. "All planes of the Russian Air Group in the Syrian Arab Republic have returned to the Hmeimim Airbase after completing their combat missions. Russian unmanned aerial vehicles conducting monitoring and aerial reconnaissance on the territory of Syria, are operating in the routine mode," Defense Ministry official spokesman Major General Igor Konashenkov told journalists on Friday. Earlier on Friday, Turkey's military said in a written statement that it downed an unidentified drone in Turkish airspace around 3km from the Syrian border. The military added that it issued three warnings before shooting down the drone. At the same time, a US official has told Reuters Washington suspects that the drone shot down by the Turkish military was Russian. The official, who spoke on condition of anonymity, declined to provide further details saying that the information was still preliminary. Several Turkish media have cited the Turkish military’s General Staff as saying that the drone is a Russian-made Orlan-10. However, Russian manufacturer, St. Petersburg Technological Center, issued a statement refuting claims that the downed drone had been one of their models after seeing its photos published on social media. “The photos of the allegedly downed drone published on social media with reference to the Turkish General Staff look more like a poorly-stage informational provocation,” said a representative of the company. “Who – and how – did the pilots of the Turkish fighter jets warn three times before downing this drone?” asked the company spokesperson stressing that it is practically impossible to spot such a small aircraft from a jet plane. 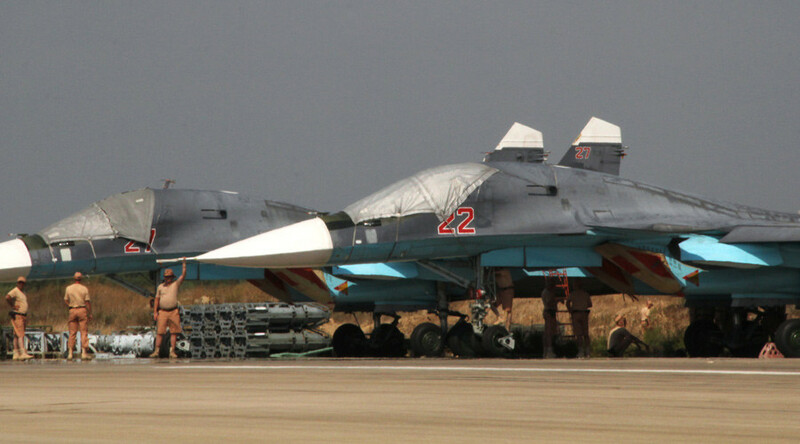 Russian airplanes previously violated Turkish airspace near the Syrian border on October 3. The incident prompted Turkey to scramble two F-16 jets. On October 5, Russia admitted making a mistake explaining that bad weather caused the warplanes to violate Turkey’s airspace. Ankara has accepted the matter, saying the same day that there is no ill feeling between the two countries. NATO Secretary-General Jens Stoltenberg gathered a meeting of bloc member states on October 5, following which it released a statement condemning the “incursions into and violations of NATO airspace." NATO has ignored clarifications from Russia about the plane incident saying that all attempts to explain the reasons behind the incident fell on deaf ears, he said. Khmeimim Airbase, located in Syria’s northwestern Latakia province, is the strategic center of Russia’s military operation against IS, launched on September 30.